Online poker is a fun game but it is not without its negatives. There are some things about online poker that are just unsavory and hurt things for everybody. Safest Poker Sites prides itself on not being shy about telling things like they are. Here are some examples of what we consider to be the worst online poker issues. The worst thing about online poker is the shady operators that only have the intention of stealing from players. Examples of this over the years include Absolute Poker, Ultimate Bet, and Pit Bull Poker. All three of these sites were involved in cheating scandals perpetrated by insiders. These shady employees used software designed by programmers to see the hole cards of opponents. In two of the cases, people involved with the creation of the company directly benefited from the scam. In the other example, executives helped cover up the crime. Some operators do not get into the business with the intent of stealing. Some take that route when trouble looms. Lock Poker is an example of this. Others include Choice Poker, Full Tilt, Victoria Poker and Eurolinx. These companies were not managed properly and resembled Ponzi schemes when trouble arrived, using player deposits for operations and to pad their own pockets on the way out of the door. There are players that aim to cheat at online poker. This includes sitting at the table with a friend and colluding. It may include chip dumping in tournaments. Some players steal credit cards and make fraudulent deposits with them, then intentionally lose to their friends. This steals money from the poker room, which in turn affects promotions that players receive since the theft comes out of rake. The rake at poker sites first glance looks favorable when compared to live poker rooms. That is because it is 5% online and 10% at live rooms. The cap is typically $1 to $3, depending on the game, at poker sites. Live rooms in the U.S. rake up to $4 or $5. Live poker rooms in other countries that do not have tipping often rake much higher. One of the worst online poker practices out there is that the rake is high for sites when compared to live rooms for several reasons. A poker site does not have the overhead of providing dealers, drinks, cards, chips or other employees involved in maintaining a casino. Poker sites only need to develop software and keep support and technical departments alive. The other major expenses for a poker site involve payment processing and licensing. Bricks-and-mortar casinos also have these expenses. Some online poker players like to be nasty in chat, especially when they are on tilt. It seems that hiding behind a computer makes them act in a way that they never would at a live table. There are several actions a player can take if an opponent gets out of hand in the chat. Most platforms have a block chat feature that will mute a specific player. If somebody gets really out of hand then maybe a contact to support is needed to ban his chat. Some players get creative and try to tilt the offending player even more by talking back. Most online poker rooms lack a decent support system. Many employees are poorly trained and it can take several attempts to resolve what seems like an easy issue. This can be very annoying, especially if there is an immediate need for the site’s attention. U.S. players are hit with fees when using the banking system at poker sites. Some charge a credit card deposit fee. Cash transfers involve a fee paid by the player. This can be paid by the site if meeting a $250 or $300 minimum deposit, depending on the policy. Withdrawals have substantial fees for U.S. players. Most sites offer a free check payout each month. Additional ones cost another $50 or more. Debit card transfers also tend to cost about $50. Bitcoin has a 2% withdrawal fee at most sites, although one free payout a month is often offered. U.S. players should take advantage of free withdrawal options the best that they can to keep fees low. Players outside the U.S. also have to deal with some banking fees. Sites typically operate in U.S. Dollars. Since most sites do not accept Americans, players must convert their country’s currency. This can cost about 2% of the transaction with each conversion. You can save this by making as few transfers as possible or giving action only to sites that use your country’s currency. Tracking software gives an advantage to players that know about it and invest in it. Some software gives players information on opponents and their own play. Some go so far as to suggest the proper play in a situation or which tables to sit. Playing at sites that permit frequent name changes or anonymous tables will thwart these types of problems. This levels the playing field and makes the games more fun. Some players refuse to give action except to weaker opponents. These people are called bumhunters. 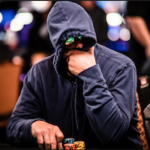 They sit at tables all day long, often heads up games, and will not post a blind if a respected opponent joins. This is why some poker lobbies have dozens of heads-up cash games with one player seated. Avoid this by not playing heads-up games or choosing sites that only spread it at fast-fold games.